Steven Chalk is the Acting Deputy Assistant Secretary for Energy Efficiency for the Office of Energy Efficiency and Renewable Energy (EERE). He oversees a diverse energy efficiency program and research portfolio that includes advanced manufacturing, buildings, federal energy management, low income weatherization, and intergovernmental partnerships. As part of EERE’s senior leadership, this position implements and advances administration priorities and initiatives that will increase energy affordability, productivity, and resiliency of the built environment. In addition to his role as Acting DAS for Energy Efficiency, Steve is the Acting Deputy Assistant Secretary for Renewable Power, a role that he has filled previously. In this position, he directs EERE’s research and development activities in geothermal, solar, wind, and water technologies. Steven has held numerous leadership roles during his tenure in EERE, including most recently as Deputy Assistant Secretary for Transportaton, leading the Sustainable Transportation sector. This includes the Vehicle, Fuel Cell, and Bioenergy Technologies offices. He also was responsible for overseeing EERE’s energy system integration efforts as Deputy Assistant Secretary for Operations and Strategic Innovation. He managed cross-cutting programs, budget and daily operations, and led strategic initiatives to improve operations. In this position, he also had responsibility over the Golden Field Office in Golden, Colorado. This experience built upon his other senior-level positions including Principal Deputy Assistant Secretary and Acting Assistant Secretary where he led EERE through the Presidential transitions in 2009 and 2017. In these roles he managed a broad technology portfolio to accelerate development and deployment of energy efficiency and renewable energy technologies. In addition, Steven served as EERE’s Chief Operating Officer and led the Recovery Act implementation, which included $17 billion of awards, part of the nation’s largest-ever investment in clean energy. He also supported the Treasury Department’s launch of two new clean energy tax programs—the 1603 grants-in-lieu-of tax credits and the 48C advanced manufacturing tax credits, both of which contributed significantly to America’s growing clean energy sector. In December 2017, Energy Secretary Rick Perry named Steven one of the prestigious Meritorious Presidential Rank Award winners for 2017 for his leadership at EERE. He had previously received the Meritorious award in 2007 and the Distinguished Presidential Rank Award in 2009. For his leadership, the Partnership for Public Service honored Steven with a Service to America Medal in the Science and Environment category in 2008. This award recognized his management of several innovative clean energy projects, as well as his leadership in the federal government’s efforts to expand renewable energy and energy efficiency use, particularly in New Orleans, Louisiana, and Greensburg, Kansas. 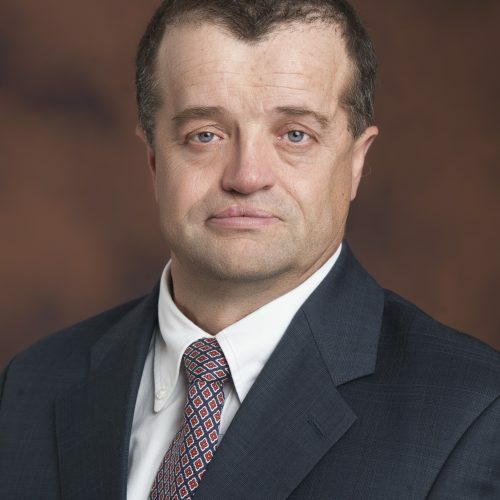 Early in his career at the Department of Energy (DOE), he managed technology development programs in fuel cells, diesel emissions control, and materials for DOE’s advanced automotive technology office. He also worked in the nuclear energy field where he oversaw DOE test programs for tritium production. Steven started his career with the Navy developing propellants and explosives for conventional weapons. He holds a Bachelor of Science in Chemical Engineering from the University of Maryland and a Master of Science in Mechanical Engineering from the George Washington University.